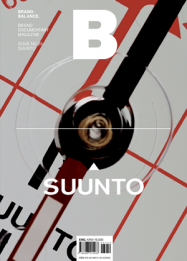 Suunto, a Finnish maker of sports precision watches, got its start in 1936 when orienteer Tuomas Vohlonen invented a new method for manufacturing liquid-filled compasses. The company has developed a range of devices, from underwater and nautical compasses to industrial hypsometers, and also created the world’s first underwater dive computer. Suunto has expanded its horizons to cover outdoor and lifestyle products, and it continues to reinvent itself as an authentic premium sports brand.